Kawasaki has officially announced the availability of its H2 in both standard and R models for MY2016. As with MY2105, the ordering period is limited, and currently listed from November 16 to December 11 with MSRP's of $26,000 and $53,000 USD respectively. Minor updates and tweaks for 2016 appear to include a new assist cltuch lever and a slipper clutch for the H model, as well as possible changes to instrumentation and rear suspension. Most notably, both model are now available in "Mirror Coated Spark Black which is a revised silver-mirror paint that includes glass flakes in the first clear coat to catch the light, giving a high-quality metallic style appearance". 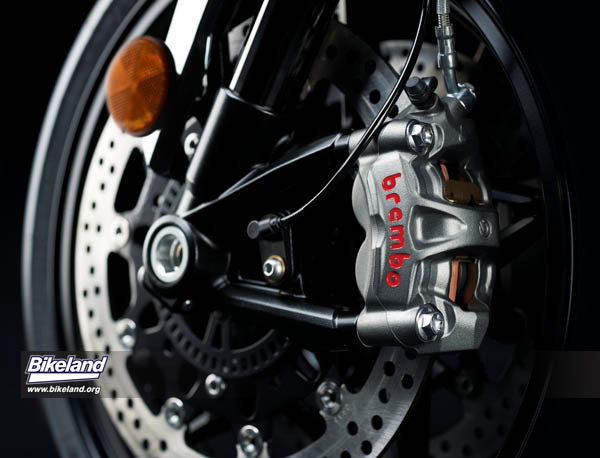 At low speeds, the settings were chosen so that damping does not interfere with the bike’s intrinsic lightweight handling. At high speeds, damping increases to provide enhanced stability. 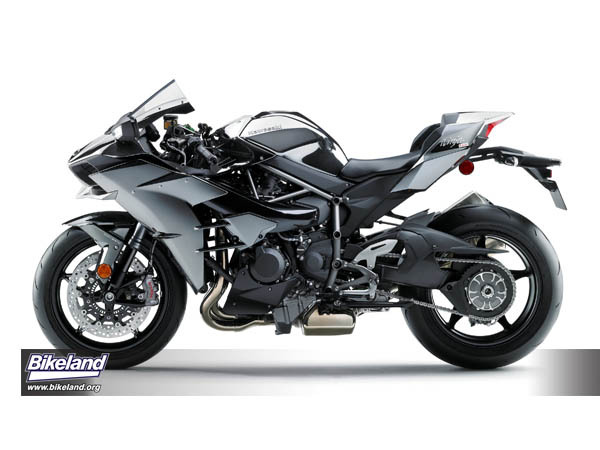 Kawasaki’s electronic steering damper was developed with Öhlins®, one of the most popular and respected steering damper manufacturers. 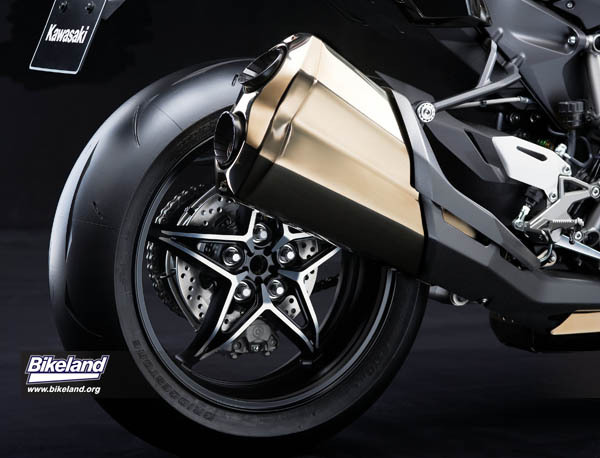 The electronic steering damper provides just the right amount of damping based on what the bike is doing. 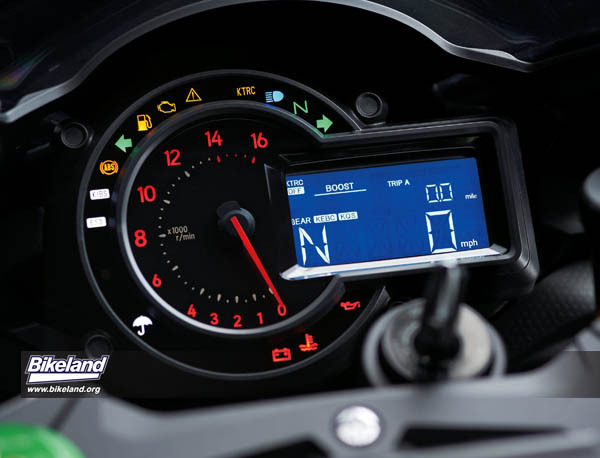 Using input from the rear wheel speed sensor (provided via the engine ECU), the electronic steering damper’s ECU determines the vehicle speed as well as the degree the bike is accelerating or decelerating. 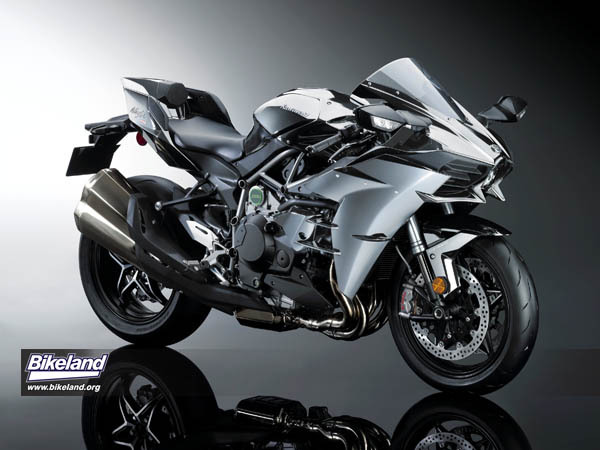 The 2016 Kawasaki Ninja H2R and H2 are limited release, production motorcycles. Reservations for the 2016 Ninja H2R will be taken on a first-come, first-served basis through Kawasaki's Customer Order Program by placing a deposit with an authorized dealer. The customer order period for the H2R is open from November 16 through December 11, 2015. 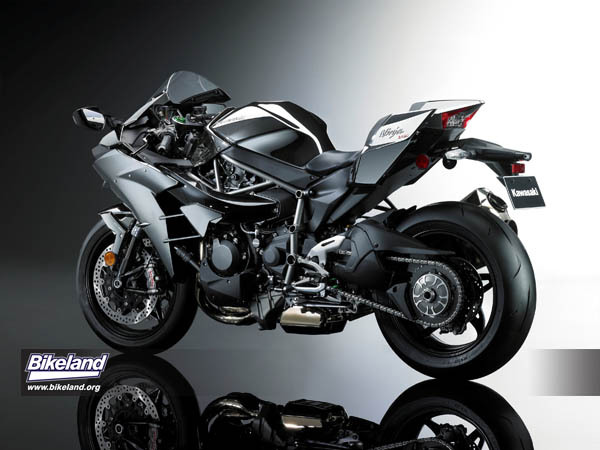 A very limited number of 2016 Ninja H2 units will be available in the U.S. market through dealers. Please contact your dealer for availability. 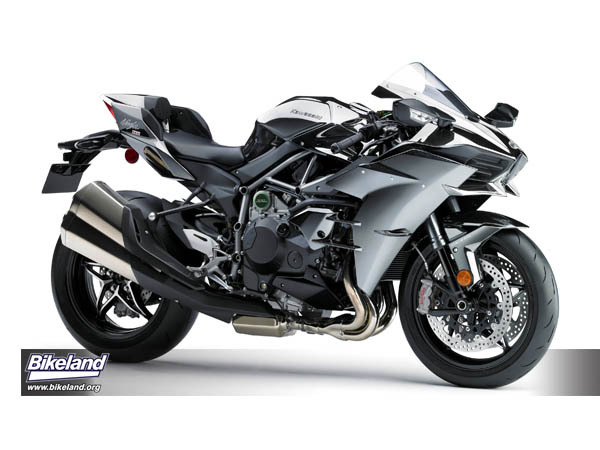 For a full spec sheet on the 2016 Ninja H2 and Ninja H2R, visit www.kawasaki.com. Kawasaki Heavy Industries, Ltd. (KHI) started full-scale production of motorcycles over a half century ago. The first Kawasaki motorcycle engine was designed based on technical know-how garnered from the development and production of aircraft engines, and Kawasaki’s entry into the motorcycle industry was driven by the company’s constant effort to develop new technologies. Numerous new Kawasaki models introduced over the years have helped shape the market, and in the process have created enduring legends based on their unique engineering, power, design and riding pleasure. In the future, Kawasaki's commitment to maintaining and furthering these strengths will surely give birth to new legends. Kawasaki Motors Corp., U.S.A. (KMC) markets and distributes Kawasaki motorcycles, ATVs, side x sides, and Jet Ski® watercraft through a network of almost 1,200 independent retailers, with close to an additional 7,400 retailers specializing in general purpose engines. KMC and its affiliates employ nearly 3,100 people in the United States, with approximately 300 of them located at KMC's Irvine, California headquarters. damping and preload adjustability, and top-out spring / 5.3"